Why not. It was gloomy outside. I was gonna go to the store to get ribs but the crazy thunder and rains stopped me from going. I know I bought a big pack of baby Bella mushroom and need to use that before it goes bad. And have leftover Arborio rice in the pantry. A little leftover white wine, I think it’s enough for making this. So 5 pm I started chopping my onion, half small onion, and 3 cloves of garlic. Sauteed in instant pot with a little olive oil and 2 tablespoons butter just until the onion translucent. 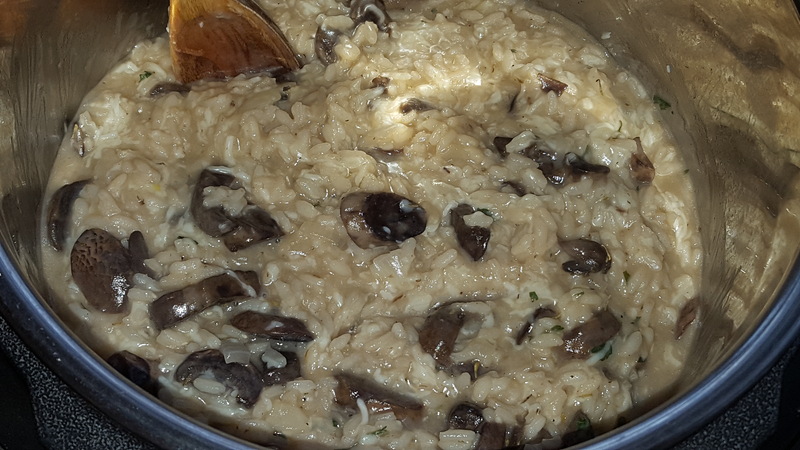 Then added the mushroom, which I wash and dried, and 2 cups Arborio rice. Mix them until all mushroom kinda coated with the rice. Turn off the Instant pot. Add 1 cup white wine. I was right. It was just enough for this risotto, emptied. And 4 cups of chicken broth. Closed the lid and vent sealed. 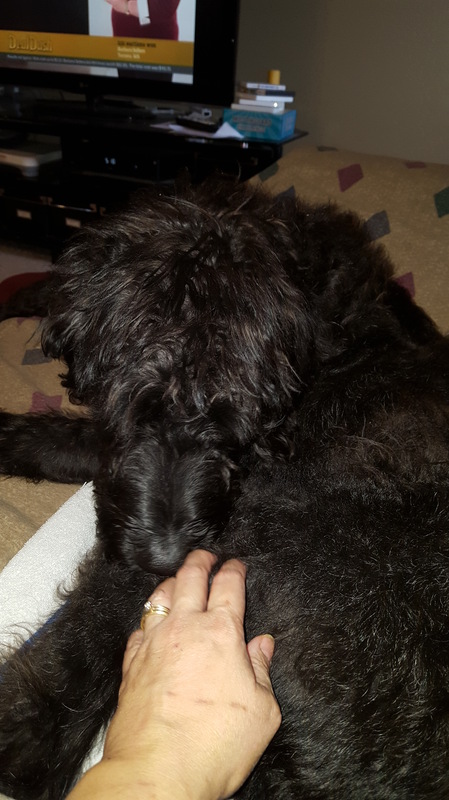 Then back to the couch and hang out with this lil stinker after I pressed manual 7 minutes. I have been hanging out with him is at since 7:30. We played, we snuggled, and watched tv. 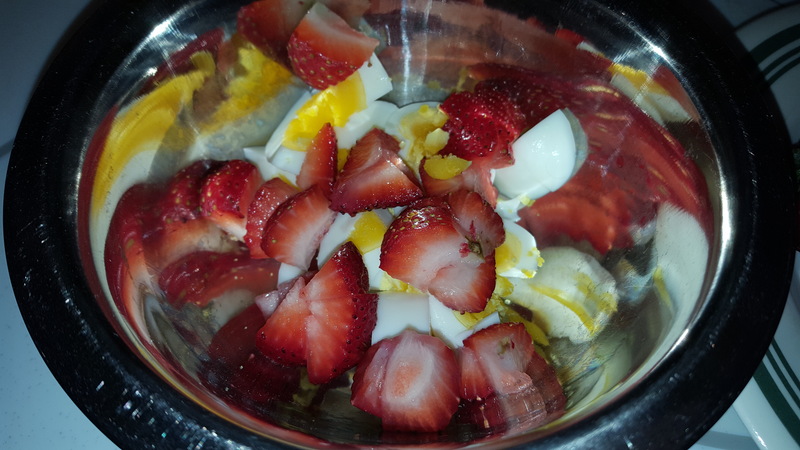 And made breakfast for us, hard boiled egg in the you know…Instant Pot. 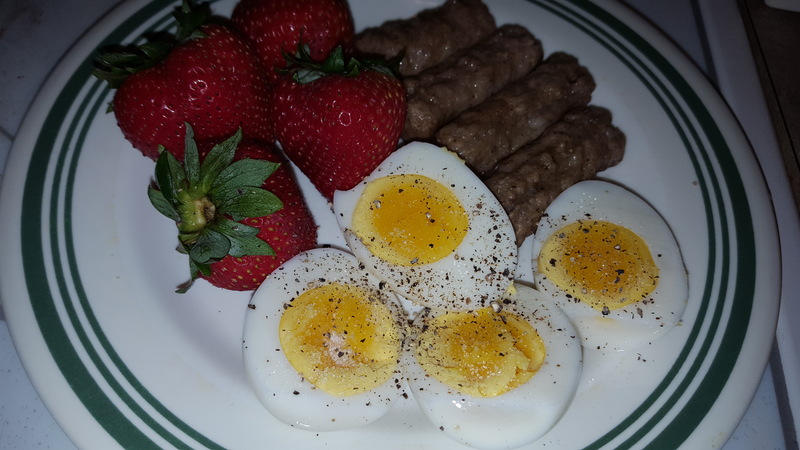 I had mine with strawberries and sausage links while he had his eggs and strawberries. 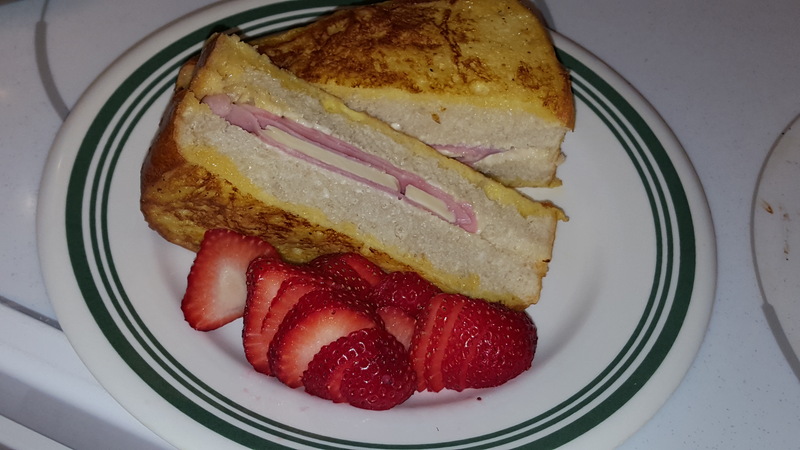 For lunch today I made ham and cheese french toast. Got the Italian bread at Wal-Mart for $0.68. Sliced them thick and filled with ham and white cheddar cheese. Then dipped them in a mixture of eggs, cream, salt, pepper, sugar and pan fry with butter. It was filling, my son said after his 1 sandwich and 4 strawberries. Oh it is beeping…time to add my butter 2 tablespoons and seasoning (salt, pepper and thyme, dry parsley) and parmesan cheese a whole 6 oz pack. Stir and served. Sprinkle more cheese and parsley. 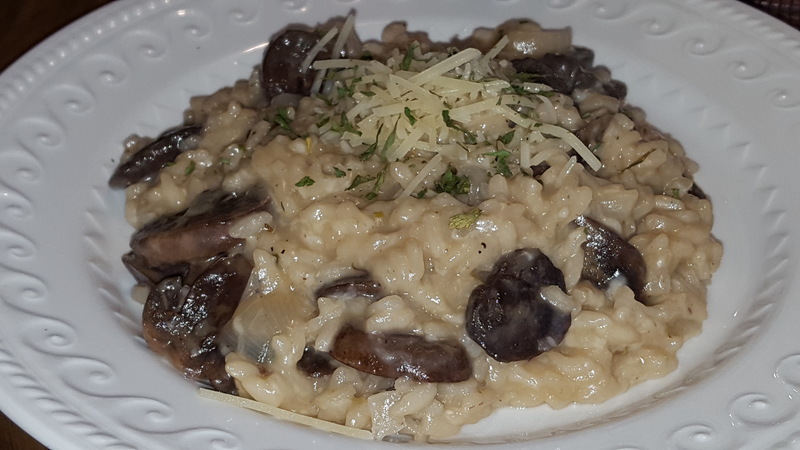 Never thought I will be making risotto ever. Thanks to Instant Pot, definitely make cooking is a breeze.